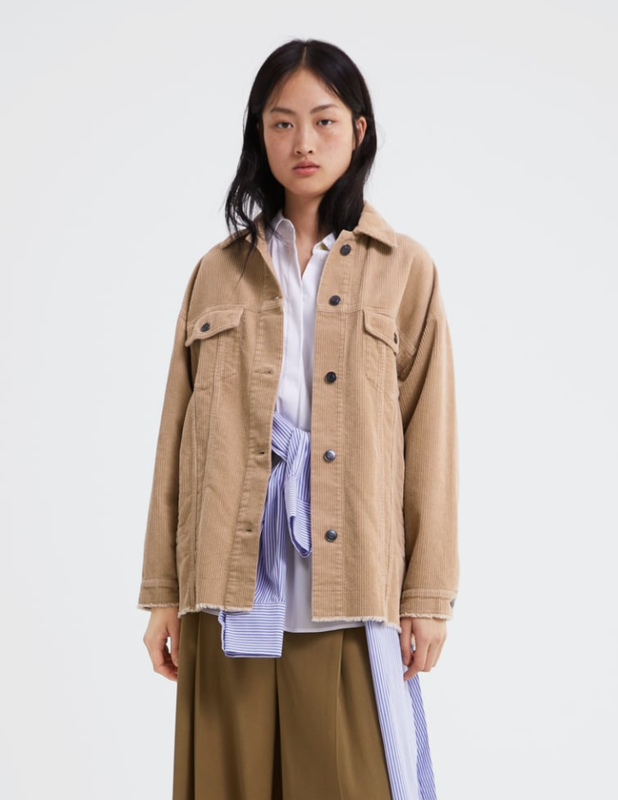 The hugely popular corduroy jacket from Zara that became an instant hit and sold out in December is back! The chic jacket is back in stock and not only has it returned, there are three new colours. You can now buy the sweet jacket in a vibrant mustard, a sky blue and a lovely sand. Everyone needs some corduroy in their lives! The oversized collared jacket has long sleeves and features chest flap pockets. There is a frayed hem, giving it an edgy, relaxed look. The jacket is available in sizes XS to L and is also available in a khaki colour. 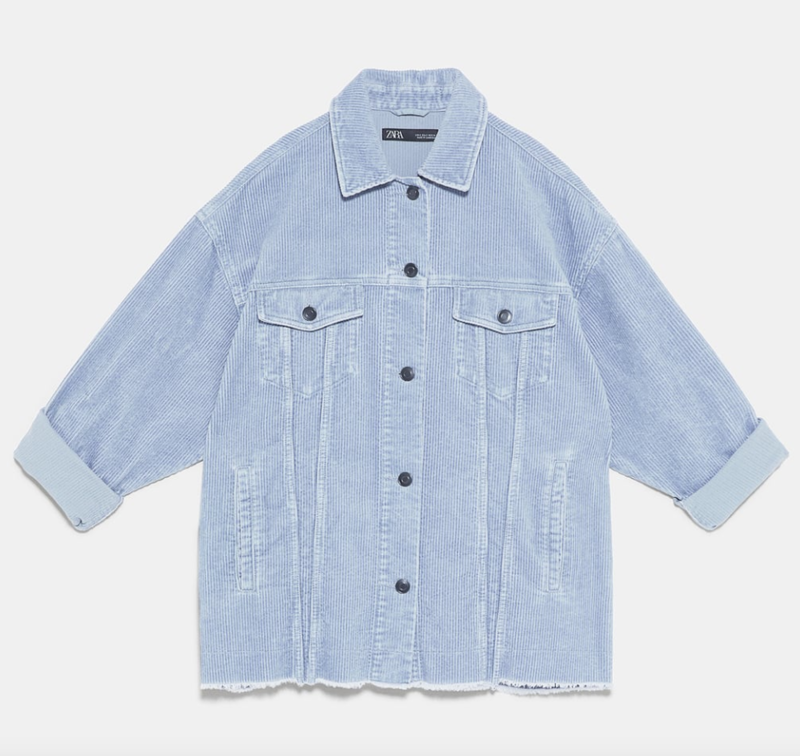 Zara recommends a variety of looks for this versatile corduroy jacket. The high street favourite suggests pairing the sky blue jacket with an oversized white and blue striped shirt and a pair of black trousers. For more of an evening look, Zara suggests matching the jacket with a sequin pencil skirt. How funky! What’s brilliant about these jackets is they can be worn across all the seasons. It is light enough to wear in warmer weather but also baggy enough to wear with lots of cosy jumpers, making this jacket an absolute must. And while the khaki jacket is perhaps more suited to winter, the sky blue is perfect for the spring months and would look delightful with a summery dress. If you want to purchase the corduroy number you can find it here . You better not hang around though because they might sell out again! We imagine the jacket will be just as popular this time around. What colour will you be going for? At this affordable price you could even have more than one!